Dr. Brownridge received his Bachelor of Arts in Biochemistry from Southern Oregon State College before attending the University of Pacific in San Francisco with his Doctor of Dental Surgery degree. He began practicing at Hughes Dental Group in September of 1979 and continuously strives to provide his patients with the highest standard of dental care available. Committed to continuing education, Dr. Brownridge maintains memberships with such professional organizations as the American Dental Association, California Dental Association, Tau Kappa Omega Dental Honor Society, Santa Clara Dental Society and the Delta Sigma Delta Dental Society. Dr. Brownridge was born in Santa Cruz and raised in Vallejo, California. He and his wife currently reside in Campbell with their three children. During his leisure time, he enjoys hunting, fishing, traveling and cooking. He also enjoys being involved with his children’s sporting activities such as basketball, soccer, baseball and volleyball. Dr. Douglass attended the University of North Carolina at Wilmington, earning a B.S. in Biology, a B.A. in Chemistry, and an M.S. in Chemistry before attending the University of North Carolina at Chapel Hill where he earned his D.D.S. degree in 2005. Early on he developed a keen interest in implant dentistry eventually earning his Fellowship in the International College of Oral Implantologists. While he enjoys providing a broad range of dental services he takes the most joy from educating and enabling his patients to preserve and protect their oral health with minimal intervention because what Nature gives us is the best. Dr. Douglass joined Hughes Dental Group as an associate in 2016 and recently became a partner. He lives with his wife, Asumi, and their young daughter, Hana Leah, in Campbell. As relative newcomers to the Bay Area they enjoy being outdoors, whether hiking, camping, cycling, spending the day at the beach, or visiting many of the exciting places throughout the area. Dr. Thomas Hughes is the son of Dr. John A. Hughes, the founder of Hughes Dental Group. He grew up in Santa Clara County and attended UC Davis for his Bachelor of Science degree in Biochemistry. 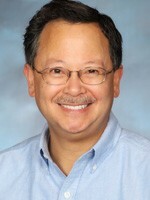 After graduating from the University of the Pacific School of Dentistry in 1987, he joined his father’s practice and has been delivering outstanding care ever since. He is dedicated to staying up-to-date with the latest trends in the field of dentistry, and maintains memberships with the American Dental Association, California Dental Association and the Santa Clara Dental Society. He and his wife live in Saratoga with their son. Away from the office he enjoys hiking and backpacking. An avid cyclist, Dr. Hughes often cycles to and from work. He is also a pilot and a member of the Flying Doctors. Dr. Marks attended the University of California, Berkeley for his Bachelor of Science degree prior to graduating from the University of the Pacific with his Doctor of Dental Surgery degree. After being associated with various dental offices, Dr. Marks joined Hughes Dental Group in 1988. He specialties include, but are not limited to, cosmetic dentistry and tooth replacement dentistry. Hughes Dental Group is unique among most dental offices in that our team of professionals truly are friendly and care about our patients. In keeping with this tradition, Dr. Marks voluntarily performs dental procedures for the underprivileged and underserved residents of certain local skilled nursing facilities. 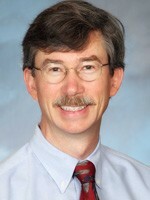 A native of the Bay Area, Dr. Marks enjoys spending his free time with his wife, son and daughter. He is a voracious reader who likes to stay up-to-date on all the latest advancements in the field of dentistry. Dr. Marina is a graduate of The University of Southern California School of Dentistry. She has been practicing dentistry in the Bay Area for several years. Dr. Marina is a member of the American Dental Association, the California Dental Association, and the Mid-Peninsula Dental Society. She values continuing education and takes an active part in several local study clubs, like SPEAR and Implant Institute. Prior to becoming a dentist, Dr. Marina was a practicing dental hygienist. She has great passion for prevention and education of oral disease. Dr. Marina takes time to educate patients on proper oral hygiene routine, prevention, treatment of disease and maintenance of oral health. In her spare time, Dr. Marina enjoys spending time with her husband, her cat Simba, family, and friends. She also enjoys reading and traveling.